If you are in need of an experienced company for residential roofing repairs and you live in the Edwardsville, Illinois area, look to Daech & Bauer Roofing. We’ve completed more than 10,000 projects in the area since our company opened its doors, and our commitment to providing the highest levels of service helped us be named a Top 100 Roofing Contractor by Roofing Contractor magazine. 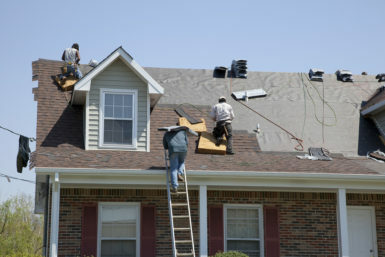 Additionally, we are so confident in the residential roofing repairs we offer that we back our work with a five-year labor warranty, in addition to standard product manufacturer warranties. This helps our customers feel comfortable that their investment in their home will be protected. If you would like to discuss the full range of residential roofing repairs that Daech & Bauer Roofing offers in the Edwardsville, IL area, contact us today.